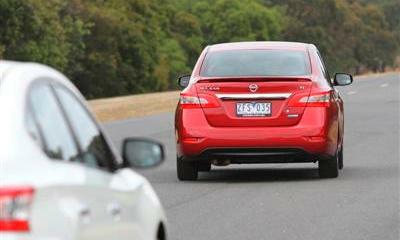 The all-new Nissan Pulsar sedan is a class above and is now on sale locally. 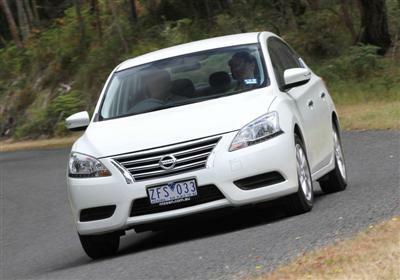 Nissan is re-introducing a favoured name from the past into the nation’s Small Car market segment with its 2013 Pulsar range. The local release of these exciting and innovative cars begins with the sedan models, with hatchbacks scheduled for release by mid-year. 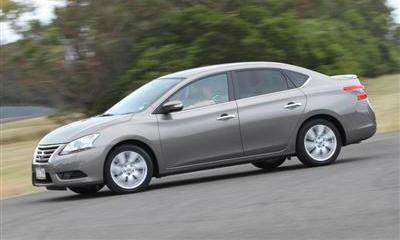 The 2013 Pulsar sedan is an impressive vehicle that combines the best of Nissan’s passenger car know-how. It has been designed and specified to deliver more of what customers expect. Contrasting its style and technology is its 16-year-old recommended price* - $19,990* - the same price the Nissan Pulsar had in 1996! The new Nissan Pulsar sedan wears an all-new design that is elegant, modern and refined, reflecting a "professional" character targeted at small-car buyers seeking to match a premium finish with exceptional value. This stylish sedan wears Nissan's new signature trapezoid-shaped grille and large wraparound headlights with LED accents. Its low stance and belt line enhance its length. Its sophisticated look continues inside with a quality interior design using soft-touch materials not usually found in this segment, including a soft-touch instrument panel and driver's door armrest. Along with a spacious interior offering near mid-size roominess in a compact-size exterior, the intuitive interior lay out emphasises driver control and impressive seat comfort for all occupants. The instrument panel curves out towards the doors and features Fine Vision electroluminescent gauges that are backlit even in daylight, providing a quality look that is also easy to read. 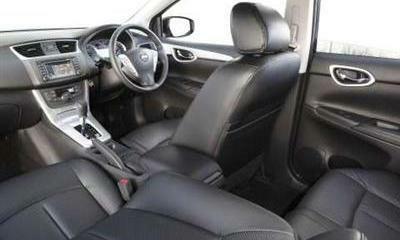 The new Pulsar sedan is practical as well as stylish. Its spacious interior lay out extends to its enormous boot. At 510 litres it is larger than those of its direct competitors and is sure to be welcomed by customers. The Pulsar sedan is powered by a 96kW/174Nm 1.8-litre, four-cylinder petrol engine that makes driving efficient and enjoyable. It is available with either a six-speed manual transmission or Nissan’s Xtronic CVT (constantly variable transmission). The Pulsar sedan’s long-stroke 1,798cc four-cylinder engine is equipped with twin continuously variable valve timing control (C-VTC) which modulates the opening time of both the intake and exhaust valves. This engine develops a peak power level of 96kW and a maximum torque of 174Nm. New valve lifters and ‘beehive’ valve springs have been developed to reduce friction and inertial loss. These springs have a smaller diameter at the top to reduce the inertia weight of the valve-train system, improving fuel efficiency and resulting in smoother engine operation. Temperature efficiency is enhanced by the smaller combustion chamber area afforded by the engine’s long stroke architecture, while by overlapping the open cycles of both intake and exhaust valves, exhaust gasses are recirculated into the cylinders, reducing pumping loss. A hydrogen-free diamond-like carbon coating on top of the valve lifters reduces the level of friction of previous coatings by around 50 per cent. Clever redesign of the CVT results in less oil stirring for a 30 per cent reduction in friction and higher fuel efficiency. Smaller, more compact engine pulleys are 13 per cent lighter than those previously used – again for higher fuel efficiency. 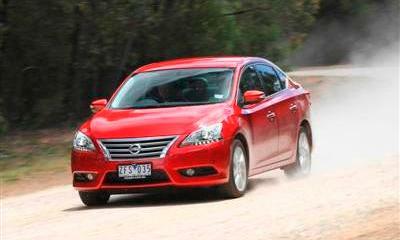 The new Nissan Pulsar sedan consumes 6.7-litres of fuel per 100 kilometres (combined cycle, according to ADR81/02) when fitted with the CVT transmission. Manual transmission-equipped Pulsar sedans return of fuel consumption rate of 7.2 litres per 100 kilometres (combined cycle, according to ADR81/02). The new Pulsar sedan features an innovative Xtronic CVT (Continuously Variable Transmission) featuring a sub-planetary gear set and smaller pulleys. The result is a wide gear ratio of 7.3:1, helping to maximise fuel economy, reduce engine wear and improve travel comfort. At 100km/h in CVT high ratio, the Pulsar’s engine is barely ticking over at a leisurely 1,700 rpm, while at the other end of the gearing spectrum, the transmission’s low sub-set starting ratio delivers sparkling off-the-mark acceleration. The transmission’s ultra-flat torque converter is 10 per cent dimensionally shorter than the previous version, while the integration of the clutch and the sub-planetary gear set similarly results in a 10 per cent length reduction and further weight saving. A more efficient oil pump allows quicker transmission lock-up and results in greater fuel efficiency. By increasing the distance between the surface of the transmission oil and the pulleys, oil-stirring friction is also reduced. The transmission’s Smooth Start Assist control delivers the smoothest possible accelerator modulation, allowing even novice drivers to accelerate in the smoothest and most fuel-efficient manner as experienced drivers. The transmission’s Smart Revolution Control also keeps engine speed constant even if a driver operates the accelerator pedal roughly under gentle acceleration, while it also irons out irregularities of vehicle speed on undulating roads. These transmission ‘smarts’ contribute to minimising fuel consumption and enhance drivability. With the combination of these new technologies, the new CVT transmission contributes significantly to the new Pulsar’s standout fuel economy. The new Pulsar features a very stiff body structure designed to ensure maximum occupant protection while keeping vibration to a minimum. High levels of mechanical and road noise isolation have been achieved by applying sound absorbing materials to areas of the structure where resonance may occur. The new Pulsar features an independent strut front suspension with stabiliser bar, torsion beam rear axle with integrated stabiliser bar, power-assisted vented front disc/solid rear disc braking system and vehicle-speed-sensitive electric power steering. With its lower stance, headlamps bordered by six-LED accent lights on ST-L and Ti models, LED taillights and turning indicators incorporated in the door mirrors of all Pulsar sedan grades, the 2013 Pulsar exudes an air of authority and quality. Sixteen inch alloy wheels are standard equipment on ST and ST-L, and 17-inch on Ti models. Chrome exterior door handles and accent mouldings complete Pulsar’s upmarket presence and elegance. Modern and ergonomically designed, the Pulsar’s interior immediately stamps it as a class above comparative vehicles in its segment. Supple and supportive seats and ample shoulder and legroom immediately give the impression of a larger, mid-size family car. Soft-feel coverings are employed for the dashboard, door and centre armrests, while low gloss finishes are used to minimise dashboard reflection and enhance the vehicle’s quality feel and ambience. Two cup holders located in the centre console compartment featuring a sliding lid. Dual zone air conditioning is standard equipment on Ti models. Also standard equipment on Ti models is a Satellite Navigation and information system that incorporates a reversing camera offering a generous 130-degree field of view. The instrument cluster houses all the principal information without impeding the expansive frontal view from the Pulsar front seats. All Pulsar models come with a multi-function steering wheel adjustable for both reach and height as standard, while Ti models additionally feature an Intelligent Key Entry combined with a Start/Stop engine button. Metallic paint $495* extra. CVT transmission $2,250* extra. * Manufacturer's List Price (MLP) excludes dealer delivery fees and the numerous statutory charges (commonly known as on-road costs). ** Drive-away prices are subject to conditions and prices may vary due to differences in statutory charges and dealer fees. Contact a Nissan dealer for details.